Runner's up and great progress for the youngest at the club. The U8's played at the Rover Festival on Saturday morning. We took 2 teams they played 6 or 7 matches on half pitches. 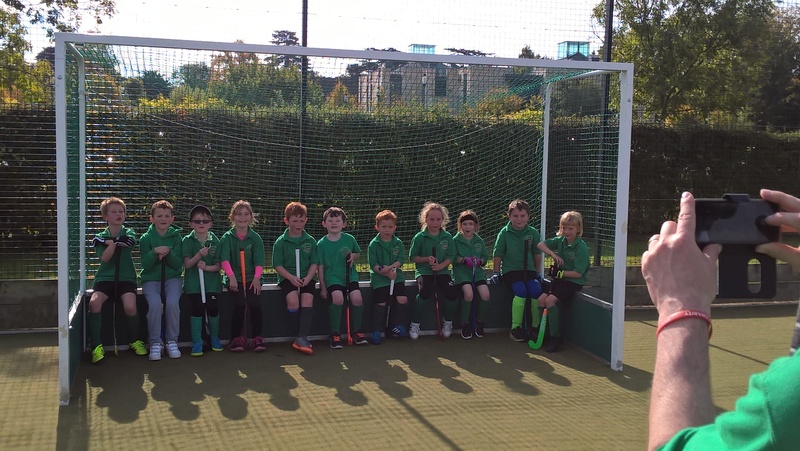 The B team made up of the youngest players played some terrific hockey with a lot of effort. They constantly improved from game to game and ran themselves to a stand still. Some of the improvements came about through bribery focusing on skills rather than score, which now means the coach is doing press ups with players on his back.?? The A team had a fantastic festival coming 2nd overall losing no matches and playing with a lot of skill and teamwork. Thank you to all the parents especially Andy and Nick who ran the teams. ?